Energy Management: How cold is it in Europe ? How cold is it in Europe ? 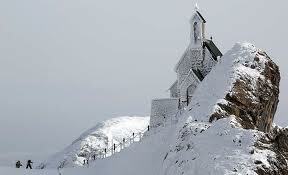 OK - As I write this in the Alps in Switzerland it is very cold, with high fatalities in Eastern Europe. Warning : picture below is not suitable for children ! http://www.fuel-poverty.org/ Support if you can whether directly or indirectly. But I want to ask what the question really means... 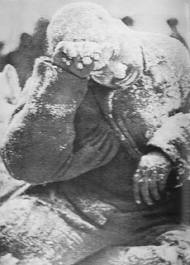 Cold is a notion of discomfort. below a certain (personal) preference temperature we are cold. As it gets colder we react by wearing more clothes, and our buildings react by using more heating fuel. But above this temperature (when we are hot), lowering the temperature makes us less hot rather than more cold. This temperature is known as the "balance-point temperature"
It is important for managing energy because it allows an energy manager to convert weather conditions into demand for heating. We calculate degree-days of heating and cooling demand free for users all over the world but we are no charity - which is why this post draws attention (whether you read it now or in summer ) to people who do attempt to make a difference. But we are discussing "what does cold mean?" and surprising the answer is that it is ONLY measured by phenomena. So mercury expands giving us a thermometer, water freezes and boilers (defining another thermometer) and so on. These phenomena are necessarily local (where the thermometer is), but we are working on defining a distributed thermometer. If when it gets cold more gas is burnt, (automatically so it is objective), by measuring gas use in a region, you get a thermometer for that region. (The gas valve opens and closes just as mercury expands or contracts in a much smaller space). The advantage of this "thermometer" is it representscold weighted by economic activity and people, and sadly at this time deaths. So the rate of death due to cold, is no laughing matter (think before you claim you are "freezing to death" ), but it is a thermometer that correlates to all of energy use, weather conditions, and housing standards - but perhaps most it is a thermometer of our humanity - Why do we allow this ? Today people are dying of cold in Europe while others waste energy. so these deaths are granted at least the dignity of some meaning. Does your building need a lifestyle coach ? You spent HOW much - the joy of waste ! What do you mean - a gas valve IS a thermometer ?